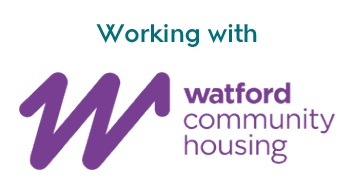 Towards the end of 2018 Kier Property and Watford Borough Council were delighted to host Homes England at the purpose-built marketing complex at Watford Riverwell. 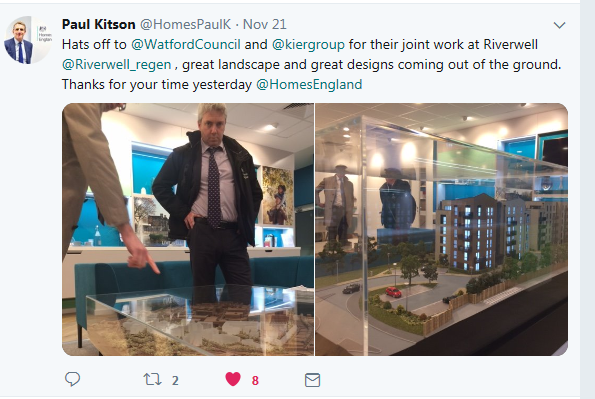 Paul Kitson, Homes England’s General Manager for the South East was given a tour of the Marketing Suite on Thomas Sawyer Way by members of the Kier Property team, who showcased the vision for Watford Riverwell using the onsite interactive models and the interior designed show apartment. 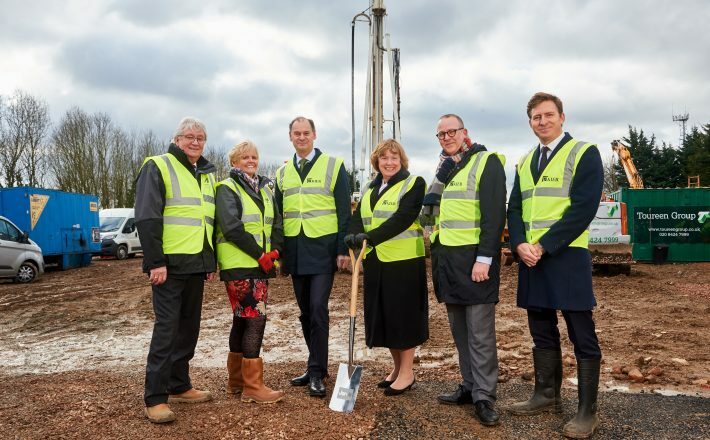 The first new homes currently being built at Woodlands are being sold and comprise 95 new homes offering well-designed, modern apartment living in landscaped grounds that complement the attractive woodland setting. Construction at Woodlands started in early 2018 and the first residents will move into their new homes in Spring 2019. Located off the main roundabout on Thomas Sawyer Way at the heart of Watford Riverwell, The Marketing Suite is where people can view the stunning 2-bedroom showhome and use an interactive site model to identify the apartment that is right for them. Prices start from £295,000 for a 1-bedroom apartment and £335,000 for 2-bedroom apartments both of which are available with the Government’s Help to Buy Scheme. 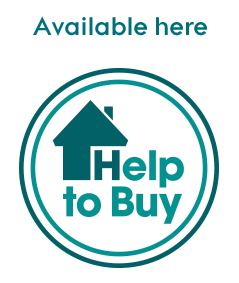 For more information about the new homes get in touch with our sales and marketing team by phone on 01923 375442or by email at info@watfordriverwell.com. You can also visit the visit the Marketing Suite from Thursday to Monday between 10am and 6pm. Image from twitter: Paul Kitson from Homes England at Watford Riverwell marketing suite.